Layer up and feel confidently secure in Odlo’s new Seamless High sports bra, a highly supportive layer that stays secure all day long through big powder days and hard workouts. 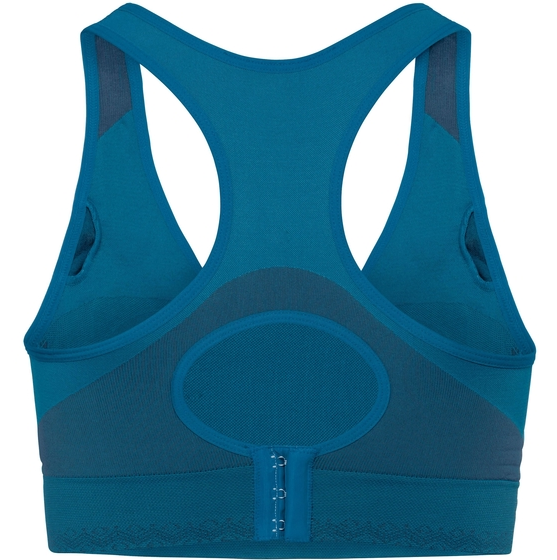 Move and groove fully supported with encapsulation knitting spiral technology that provides extra support. Meanwhile, seamless integrated functional zones with a rib structure on the side give you fantastic freedom of movement. 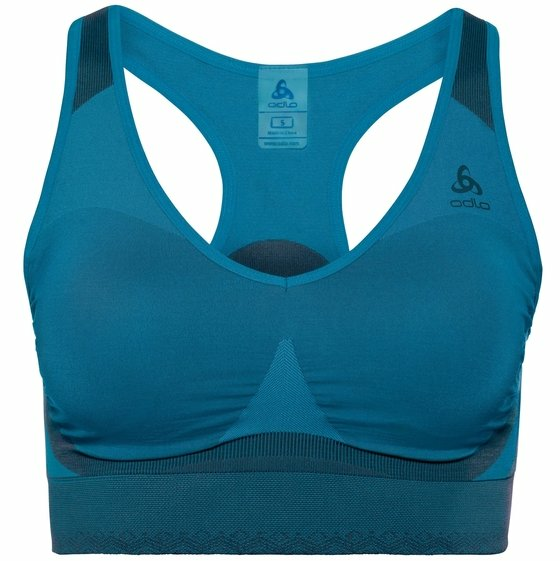 A feminine v-cut front and secure racer-back design give you the best of both worlds and an adjustable hook-and-eye back closure offer a versatile fit for even better comfort. 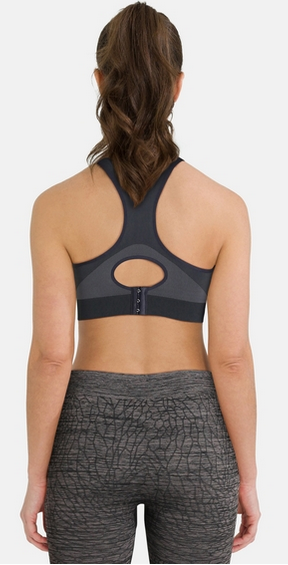 Get the sports bra that is ready for every adventure this winter with Odlo’s Seamless High sports bra for women.